The Nigeria Police Force has made another breakthrough in its ongoing investigations into the death of Cynthia Osokogu with the arrest of another suspect, who was in possession of the late Cynthia’s Blackberry Bold 5 (99100 Model) phone, by the Lagos State Police Command. The case has continued to garner attention especially since friends and family of one of the arrested suspects, Nonso Maduakor, publicly vouched for his innocence. Lagos State Police commissioner, Umar Manko revealed that detectives traced the suspect, Nonso Ezike to Port Harcourt where they nabbed him and brought to Lagos. Ezike is a graduate of Mathematics and Computer Science of the Federal University of Science and Technology (FUTO), Owerri and a relative of one of the alleged killers, Chidera Ezike, paraded by the police recently. Manko who ascribed the success of the new development in the murder to the painstaking investigative effort of the Area Commander ‘E’, Mr. Dan Okoro, an Assistant Commissioner of Police said the police would continue to ensure that the public would continually get full information as the mysteries behind the murder was unravelled. According to Okoro who personally led the investigation: “We were having problems on how to get the late Cynthia’s phone, we met her father who gave us the pin number of Cynthia, from there, we started chatting with the person who has the phone and he told us he bought it from someone, so we told him that we need the phone and we pledged to pay him back the money but the buyer said the phone was giving him problems and he intends to send it back to the person who sold it to him. “ We traced the mast and discovered he was chatting from Port Harcourt. He told me he bought the phone from Lagos when we eventually got him online. Few days later, he called to say he has returned the phone to the actual person he bought it from. We urged him to ask the person to return the said phone to our office in Area E Command, FESTAC. The person eventually came to our office with a lawyer to drop the phone and I asked my men to arrest him immediately. “Coincidentally, the man who came to drop the phone with us is a junior brother to the prime suspect who are being arraigned in court. He confessed to the police of having sold three telephones given to him by his brothers at several occasions. 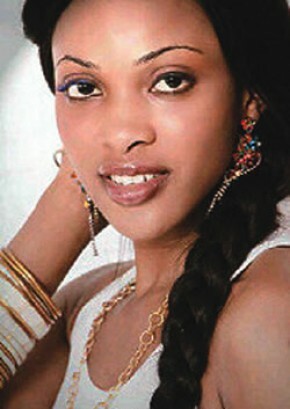 He also confessed that he sold Cynthia’s Blackberry telephone for N68,000.00.